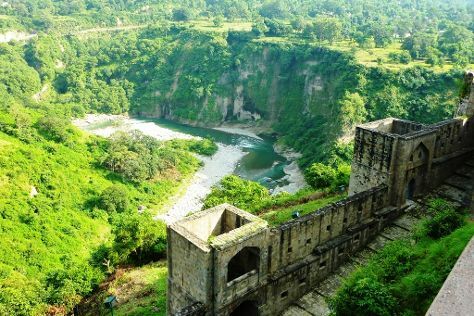 Get in touch with nature at Kangra Valley and Kareri Lake. Get a sense of the local culture at Jawalamukhi Devi Temple and Gyuto Monastery. Explore Dharamsala's surroundings by going to Baijnath Temple (in Baijnath), Kangra (Mata Brajeshwari Devi, Baglamukhi Temple, & more) and Jawali Ji Temple (in Jwalamukhi). Next up on the itinerary: take in the awesome beauty at Triund Hill, get engrossed in the history at Tibetan Museum, contemplate in the serene atmosphere at Bhagsunath Temple, and explore the activities along Dal Lake. For traveler tips, maps, other places to visit, and other tourist information, use the Dharamsala driving holiday tool . Finish up your sightseeing early on the 18th (Tue) so you can travel back home.